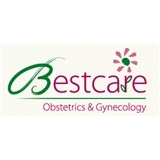 Bestcare Obstetrics & Gynecology (Nutley) - Book Appointment Online! Bestcare Obstetrics & Gynecology, Dr. Straker, and our entire staff are honored to serve our patients. Our new state of- the-art facility on Centre Street will help us to meet your healthcare needs with all the latest technological advantages in an atmosphere of comfort and beauty. Please visit us at our new location diagonally across from Nutley Diner. Se Habla Español y Portuguese! Both the doctor and physicians assistant are excellent. All of my concerns during my pregnancy were addressed kindly and professionally. You do have to call for your test results, but someone will get back to you by the end of the day if they are not available at the time of your call.